If you are looking for an extremely wild adventure, then you might as well consider to skydive and to make it more exciting, you might as well do what this daredevil have done and that is to skydive over the crazy red lake. 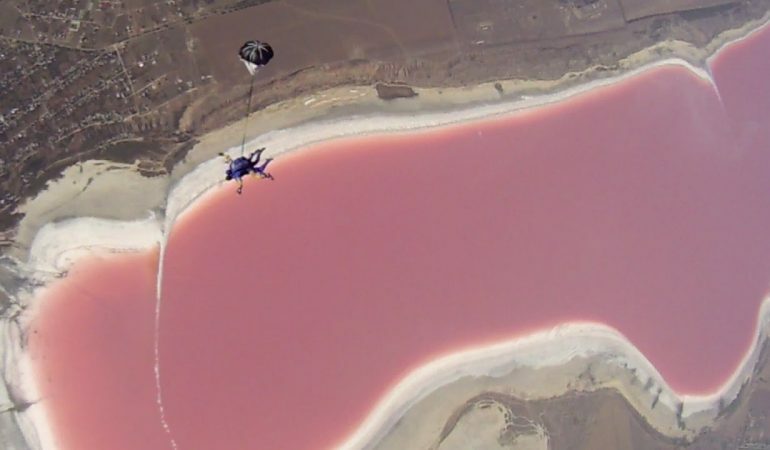 This is the out of this world footage of a daring skydive – from a whopping 3,000m drop above. Alexander Euchenko is the one behind the camera and he shot this stunning footage as he fell from 3,000m above. Euchenko said that it is an amazing skydive experience and the red lake make it feels like he is flying above a different planet.